When you own your own business, it can be tough to give up control. The mere act of entrepreneurship implies you’re confident, self-sufficient and driven to do everything to your own standards — all good things when you’re starting out. But once the work starts pouring in, too much control can become a liability. Bringing on an employee is a huge step, and a risky one. Recruiting, training and paying a salary and benefits is no small thing, and it should only be undertaken under certain circumstances. It’s not just about whether you can afford the salary and trimmings — that tells you whether you can hire. Whether you should is a different story. 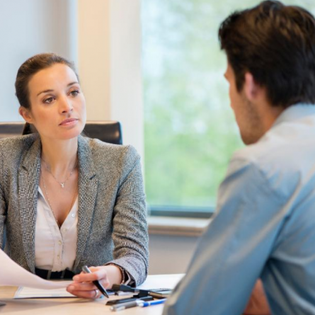 In my experience, there are some solid ways to tell if you — and your business — are in a good position to start recruiting. Here are three of the top “time to hire” signs I’ve identified as a small-business owner. If you’re consistently missing deadlines or receiving complaints about your customer support (or lack thereof), it might be time to let someone else shoulder that load. Or at least the parts of that load that don’t require your particular skill set. Generally speaking, customer service is one of the most natural areas of business operations to hand off to an employee, no matter what your line of work. Its importance to your success cannot be overestimated — angry customers will leave and you’ll be hard-pressed to get them back — and it’s typically not a task that requires the unique set of skills you bring to the table. Hiring an employee to answer phones, respond to emails, walk clients through hiccups and do general hand-holding duty will free you up to meet deadlines and focus on areas that do require your unique skill set, like business development and strategizing. Letting those fall by the wayside bodes poorly for the future of your business, and they’re typically the first things to go in a time crunch. You have enough work to hand off. Don’t hire a full- or part-time employee unless you know you have enough work to fill a full- or part-time job. As a small business owner, you can’t afford to pay someone to Tweet. • Do the tasks logically fit into one skill set? You’ll be hard-pressed to find one person with expertise in customer service, graphic design, marketing and bookkeeping. If the tasks are all over the place, it may not warrant a staff member. Farm it out or rework the list of tasks you’re willing to hand off. • Are the tasks directly related to generating or retaining revenue? Don’t bring someone on staff to manage an experimental revenue stream. If the experiment doesn’t work out, you still have an employee to pay. The new hire should do work that will make money, retain paying clients or fulfill a customer need you don’t have the skills to address yourself. • Will the work continue for the foreseeable future? If you’re busy right now, but most of your contracts are up in six months, don’t hire. Nothing is guaranteed, of course, but all signs should point to steady work before you think about adding staff. In addition to customer service, it’s logical to start with a role related to product development, technical support and marketing. You have the time (and patience) to recruit. Whatever you do, do not rush into this. There are few things worse for your business than a bad hire. Except maybe two bad hires. Bringing someone on staff costs more than the salary you’re offering. You’re paying for benefits, recruiting, training and revenue lost to the new-employee learning curve. If you have to replace that employee, it’s all lost. And then you’re paying to go through the whole process again to fill the same role. Finding the right employee means defining the job to a tee, identifying the best talent pools, poring over resumes, checking references, interviewing and making reasoned decisions. If you’re under so much pressure that you’re ready to hire the first applicant who can spell the name of your company, don’t hire. Remember, you don’t have to buy the cow. If you’re not ready to put the time in, consider the contractor route. It’s less expensive (no benefits or worker’s comp) and less of a commitment. You won’t have as much control over the work, but I’d take a rogue contractor over an inept employee any day. Contractors don’t get severance. Small business allows for flexibility, and it’s an asset when it comes to growth. Embrace it when you think about hiring. Contract work can give you an idea of what it means to manage and how comfortable you are giving up complete control. You can give it six months and see how it goes, then commit to hiring your first employee.